More than a hundred people killed on a bright spring day. The city’s most beautiful and iconic landmark in ruins. 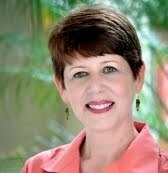 The man accused of setting the fire is dead, buried in the rubble along with answers to the question, “Why?” As Juni Bruder of the Orlando Herald talks to rescuers and survivors, she can’t shake the feeling that something isn’t right. The official story doesn’t ring true. Her interviews become front-page news. So does her suicide, a year after the blaze. Her brother Peter, a Jesuit priest, finds a clean apartment and a stack of papers sealed in plastic bags. Sifting through his sister’s effects, he reads the stories of the dead, from the architect who designed the famous building to the janitor blamed for destroying it. A file on Juni’s laptop will reveal the hidden threads that bound the victims together, the seemingly random acts that brought them to a single place and moment in time. In the end, the answers Juni seeks won’t be the ones she finds. 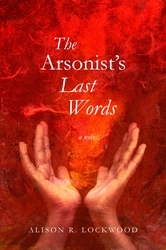 Told through an inspired mix of puzzle pieces—news stories, phone transcripts, press releases—and filled with gallows humor, The Arsonist’s Last Words is a novel about life, loss and the slippery nature of truth.